It is a rare sight to see a group of women leaders come together to spend a week reflecting on their lives, professions and leadership impact. Yet this is exactly what a group of high-potential women leaders and managers did in Mumbai, India last November to build their skills, confidence and visions for the future*. Throughout the week, the delegates were joined by experienced, successful men and women leaders who shared stories of their own path to leadership. In all our years of running the Women in Leadership Program (WIL) around the world, I do not recall ever having had a more personal and honest conversation about what it takes to succeed as a woman leader, especially in the financial inclusion or banking space. One speaker reflected on how, as a young manager, she believed that leadership meant taking on and solving everyone else’s problems. What this came to mean was that eventually she felt as if she was carrying a heavy sack of rocks on her shoulders. As the burden became heavier, it became clear to her that she would either have to change her approach, or sink under the weight. That moment of clarity, and the courage to let go of being the organizational problem-solver, is what transformed her from a manager to a leader. In addition to our curriculum, participants had the opportunity to discuss issues such as introducing sexual harassment and non-discrimination policies in their institutions and how to practice negotiation and influencing techniques when working with government officials to affect change for women at the community level. Participants also discussed ways in which they planned to take the learning from the program home for the benefit of their teams, their institutions and, ultimately, the women they serve. The commitment and passion of this group of women made it crystal clear to us that by giving the next generation of women leaders the room and tools to develop, we are paving the way for the generation after them to rise up as well, both the women that work in their institutions and the clients that they serve. At Women’s World Banking, we promote women’s leadership because we know that gender diversity can no longer be viewed as a nice to have. 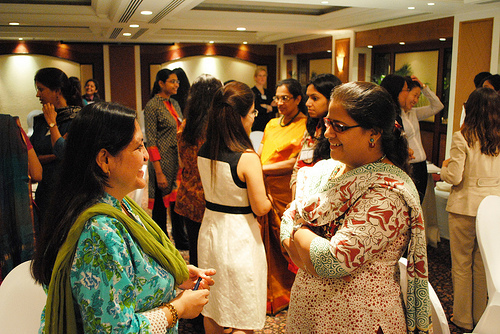 In the words of Pramit Jhaveri, CEO of Citi India, our local host for the program in Mumbai, “diversity is imperative from a competitive and strategic point of view.” When microfinance providers seek to serve the women’s market well, they need diverse points of view at the decision-making table. To borrow a concept from corporate marketing, they must “mirror their market”. We also know that diverse groups tend to make better decisions which can lead to enhanced innovation and, ultimately, benefit customers. Finally, women microfinance clients often tell us about the inspiration they derive from seeing powerful, successful women occupying leadership roles in the organizations that serve them. We left the program with a great feeling of hope for the women clients of our participants’ institutions. The participants left the training not only with inspiring new visions for their own leadership but also with a continued motivation to serve others and, with a network effect, create even more leaders. As Women’s World Banking board member and University of Pennsylvania professor Mike Useem put it: “One billion women don’t have access to financial services. What’s standing between no services and quality services is the quality of the leaders that serve them.” That is why investing in leadership remains at the core of our mission to reach millions more women with sustainable products that meet their needs. One of our Fellows, Ramatolie Saho, participated in WIL Mumbai and will be sharing her personal experience in a blogpost next week. 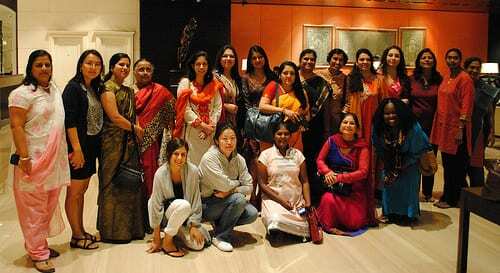 *The Women in Leadership Program in Mumbai brought together 24 women managers and leaders representing 14 microfinance institutions in five countries in the South and Central Asia regions. The program, a signature offering at the core of Women’s World Banking’s leadership development suite, is designed to help participants increase their understanding of various models of leadership, gender and culture and use these as a foundation to define their own leadership values and vision. During the program, participants build their skills in critically important areas such as giving and receiving feedback, how to successfully lead through difficult situations and strategic network building.